Dr. Sillman is originally from Detroit. He attended Stanford as an undergraduate, Harvard medical school for his medical degree, and then University of Michigan as a research fellow and Otolaryngology resident. He received an additional year of training in otology and skull base surgery at the University of South Florida. Dr. Sillman has served as an Instructor at Harvard Medical School and is currently affiliated with Tuft’s University. 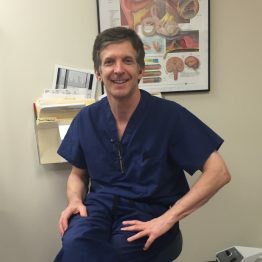 He is dedicated to treating patients with hearing loss, ear diseases such as cholesteatoma and chronic otomastoiditis, and skull base tumors.